Hecha en México, Norma Liliana Valdez NORMA LILIANA VALDEZ made her way to California in her mother’s pregnant belly. She is an alumna of the VONA/Voices Writing Workshop, the Writing Program at UC Berkeley Extension, and was a 2014 Hedgebrook writer-in-residence. 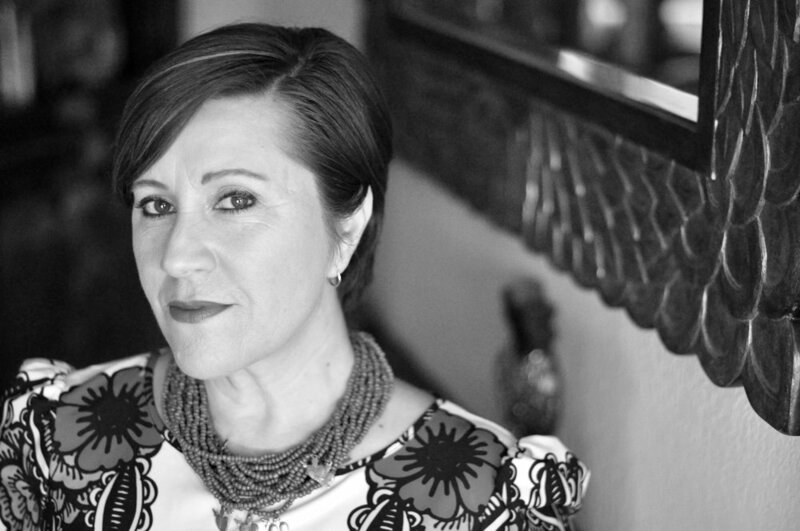 A member of the Macondo Writers’ Workshop and a CantoMundo fellow, her work appears in The Rumpus, Huizache, Tinderbox Poetry Journal, and the anthology Latinas: Struggles & Protests in 21st Century USA, among others. Her chapbook, Preparing the Body, is forthcoming in fall 2019 from YesYes Books. SARA BORJAS is a Xicanx pocha and a Fresno poet. Her debut collection of poetry, Heart Like a Window, Mouth Like a Cliff was published by Noemi Press as part of the Akrilica Series in March, 2019. She co-hosts and produces “The Lovesick Poetry Podcast”—a west coast poetry podcast launching in 2019, alongside IRL cousin and award-winning poet, Joseph Rios. Sara is a 2017 CantoMundo Fellow and the recipient of the 2014 Blue Mesa Poetry Prize. Her work can be found in Ploughshares, The Rumpus, Poem-a-Day by The Academy of American Poets, and The Offing, amongst others. She lives in Los Angeles but stays rooted in Fresno. Find her @saraborhaz or at www.saraborjas.com. MONICA SOK is a Cambodian American poet and the daughter of former refugees. She is the author of Year Zero, winner of a Poetry Society of America Chapbook Fellowship. Her work has been recognized with a "Discovery" / Boston Review Poetry Prize. Other honors include fellowships from Hedgebrook, Elizabeth George Foundation, National Endowment for the Arts, Kundiman, Jerome Foundation, Montalvo Arts Center, MacDowell Colony, Saltonstall Foundation, and others. Currently, Sok is a 2018-2020 Stegner Fellow at Stanford University and a Poet-in-Residence at Banteay Srei in Oakland. Her debut poetry collection A Nail the Evening Hangs On is forthcoming from Copper Canyon Press in 2020. (Photo Credit: Nicholas Nichols). MK CHAVEZ is the author of Mothermorphosis, and Dear Animal, (Nomadic Press.) Chavez was a recipient of a 2017 Pen Oakland Josephine Miles Award for poetry, and in the same year, her poem The New White House, Finding Myself Among the Ruins was selected by Eileen Myles for the Cosmonauts Avenue Poetry Prize. In 2018 Alley Cats Books published her lyric essay, A Brief History of the Selfie as a chapbook. She is or has been a fellow with CantoMundo, Hedgebrook, North Street Collective Resident Program; she is co-founder/curator of the reading series Lyrics & Dirges, co-director of the Berkeley Poetry Festival. Her most recent publications can be found in bags of coffee from Nomad Coffee and on Academy of American Poets, Poem-A-Day as the featured poem for December 19, 2018. Originally from San Francisco, TONGO EISEN-MARTIN is a poet, movement worker, and educator. His latest curriculum on extrajudicial killing of Black people, We Charge Genocide Again, has been used as an educational and organizing tool throughout the country. His book titled, "Someone's Dead Already" was nominated for a California Book Award. His latest book "Heaven Is All Goodbyes" was published by the City Lights Pocket Poets series, was shortlisted for the Griffin Poetry Prize and won a California Book Award and an American Book Award.